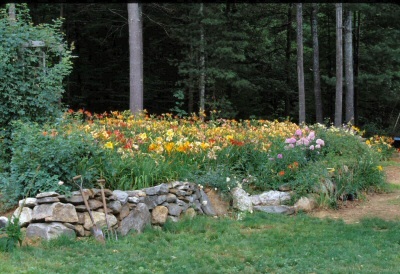 Daylilies are the ideal plant. They are easy to grow, low maintenance, hardy. Very adaptable, in sun or partial shade, but most of all they are just L O V E L Y ! 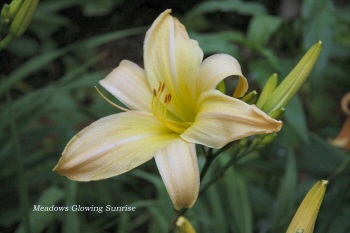 Each blossom of the daylily lasts only one day. In our test gardens, we have over 500 varieties of daylilies totally unlike in sizes, colors and shapes. 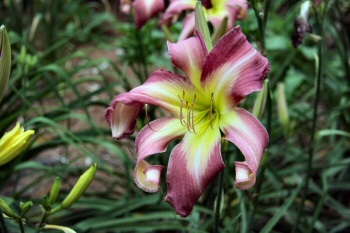 We are hybridizing daylilies creating new varieties. 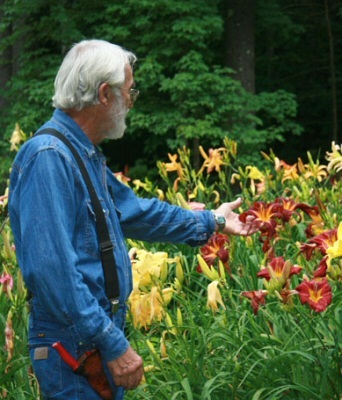 Our goal is to create repeat blooming daylilies with unusual flowers that will bloom from early July into October. 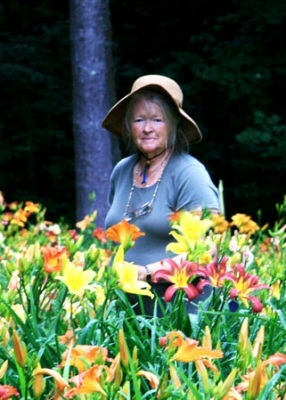 Come visit our display garden and view our collection of over 145 reblooming daylilies. 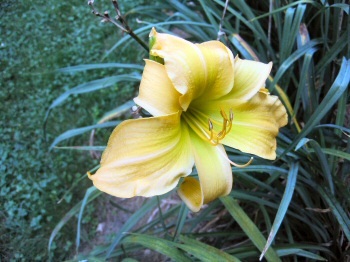 Come and chose your special daylily. You are invited to visit the nursery at anytime, but come especially during PEAK BLOOM FROM MID-JULY TO THE END OF AUGUST, depending on the seasonal weather changes. 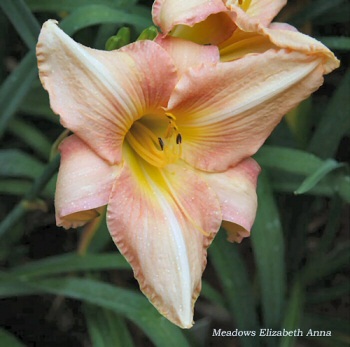 For those of you who wish to select daylilies, we will be happy to take your prepaid order to be dug in late August for delivery. Your order can also be dug while you are at the farm. Michal will be happy to dig them for you. She is at the farm on every day except Wednesday and Saturday. We will ship orders for out of state customers. Michal working in the garden.